With 400hp on tap, the BMW X7 M50d currently crowns the big SUV range. Its powerful quad-turbo diesel engine provides a responsive and engaging drive beyond what you might expect from a luxurious seven-seat car. Choosing the M50d model will set your SUV apart from the rest of the BMW X7 range thanks to its additional styling cues that include numerous exterior parts using a satin finish in Cerium Grey. This contrasting colour applies to the door mirrors, kidney grille, lower front intake surrounds and the side air breather behind the front wheel that extends through the lower door panel to the rear. The front bumper design is a busy one, though choosing from one of the darker exterior colours hides this. Usually, the idea of 22-inch wheels would sound huge, but such is the sheer size of the BMW X7 that, here, they look quite ordinary. The standard wheel is an exclusive design of the five split-V-spoke 755 M rim. On our test car, this was shod in Pirelli P Zero tyres, measuring in at a supercar-like 315/35, Y-rated up to 300km/h. A gloss black finish to the large window surround and roof rails do little to mask the overall size of the X7. It is an imposing car from any angle; we imagine motorists seeing one of these bearing down in the rear-view mirror might well be startled out of hogging the middle or overtaking lane. As for the interior, it has the same high-quality finish. Even sitting in the rearmost seats - which are spacious enough to accommodate two adults - you get a proper armrest and cup holder. The split-folding tailgate is electrically operated and with all seven seats in place there's still 326 litres of cargo volume, enough for a few small bags. When it comes to loading larger items, you can electrically fold all five rear seats via a control panel on the left side of the boot. The X7's air suspension can lower the car at the rear via a button on the bottom tailgate section. Complementing the M50d badge on the back are two large rectangular exhaust outlets that exit in the lower corners of the rear bumper, emphasising the car's width. If there's one word to describe the BMW X7 M50d its 'torque'. The engine is a 3.0-litre straight-six diesel that utilises four turbochargers to ensure that it's always ready for action. Maximum torque output is 760Nm, arriving at 2,000rpm, and it feels like enough to pull a building down. Except for the staggeringly torquey Audi SQ7, with its freakish 900Nm at 1,000rpm, you need to be looking at more stratospherically priced SUVs to get performance that matches this X7. Despite that colossal torque, the M50d at seven or eight-tenths driving doesn't feel all that much quicker or more potent than the very competent xDrive30d version. Yes, the latter takes a bit more time to get wound up to speed, but there isn't quite as much difference as you might expect - or would hope given the almost €24,000 price difference. Having two low-pressure turbochargers operating at slower speeds means the engine does feel 'switched on' all the time and the throttle response is faster than the xDrive30d's. Switching to Sport mode moves the engine's urgency up another notch as the air suspension also firms up. Aiding traction when powering out of corners is the M Sport differential that electronically controls which rear wheel gets more of the engine's output. Considering the high centre of gravity and weight of the X7, it commits to sharp direction changes with real alacrity. Our car was equipped with the Executive Drive Pro system, which uses active anti-roll bars to reduce body lean in the corners, and this gives you an extra layer of confidence when cornering at higher speeds. Another helping hand comes in the form of the optional Integral Active Steering. This system applies some rear wheel steering to increase manoeuvrability at slower speeds or when parking, but at higher speeds can turn the rear wheels in the same direction as the fronts for greater stability. The driving position provides excellent visibility as you look down that vast bonnet. You feel like you're sitting high, and the supportive sports seats hold you in place with thick bolsters. The prospect of doing huge distances in this is something to relish such is the degree of comfort and refinement inside. Most of the price premium you pay for the M50d over the xDrive30d version goes towards that engine. It offers not only more power and torque, but helps to deliver a more engaging drive. Nonetheless, if you're not an enthusiastic driver, then you're better off saving your money and spending it on some more options on the X7 xDrive30d. All BMW X7s come well-equipped and feature two 12.3-inch displays for the instrument cluster and infotainment system. Gesture control is also standard on all models, allowing you to perform tasks like adjusting the volume level by twirling your finger at the dashboard. As the M50d is what BMW refers to as an M Performance Vehicle, it gets a different specification to the popular M Sport grade. The visual differences we have already mentioned in our exterior section above, but inside this X7 there is also a Harman/Kardon speaker system. The M50d gets the M Sport differential and an M Sport exhaust system as standard. We don't think you'd ever need more power in a car the size of the BMW X7 than the M50d variant provides. It is that little bit sharper to drive and when you're hurrying it along is more responsive than the less powerful diesel version. If fuel economy is more your thing and you're going to be spending much of your time just doing the daily commute and other everyday driving, then the xDrive30d will serve you every bit as well. Where the X7 M50d proves its worth is in its ability to make something so massive, and luxurious, shrink down and handle in a way you probably didn't think was possible. Audi SQ7 vs. BMW X7 M50d (2019): staggeringly powerful and very refined on the move, but doesn't offer quite as much space inside. 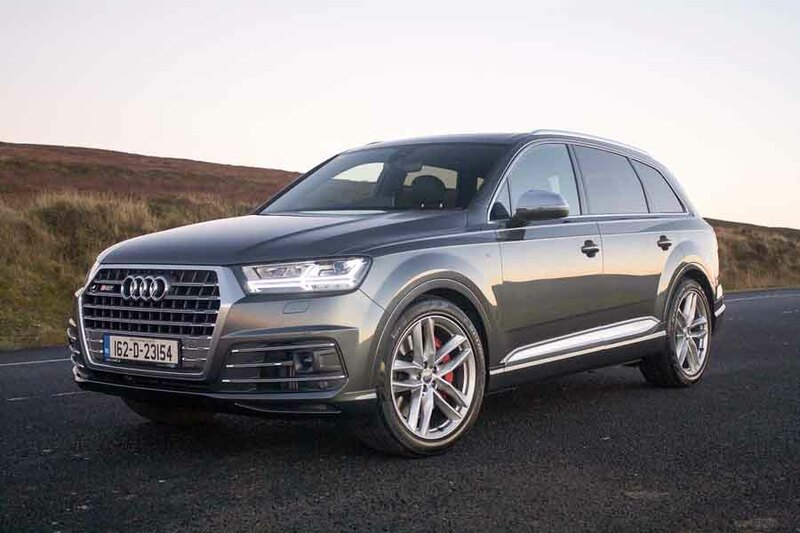 The Q7 is due to be updated in 2019. 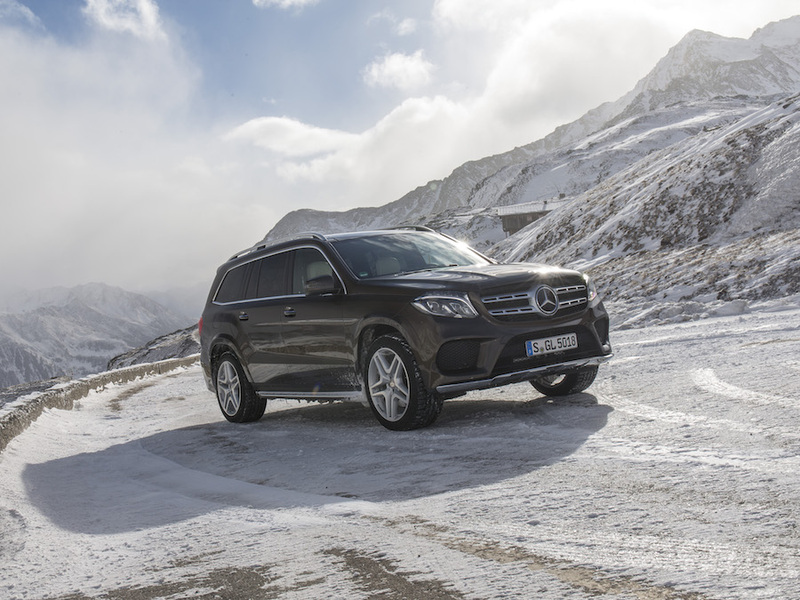 Mercedes-Benz GLS vs. BMW X7 M50d (2019): slightly unfair to list this model as a rival as there's an all-new GLS just around the corner. Still, this is correctly referred to as an S-Class of off-roaders. 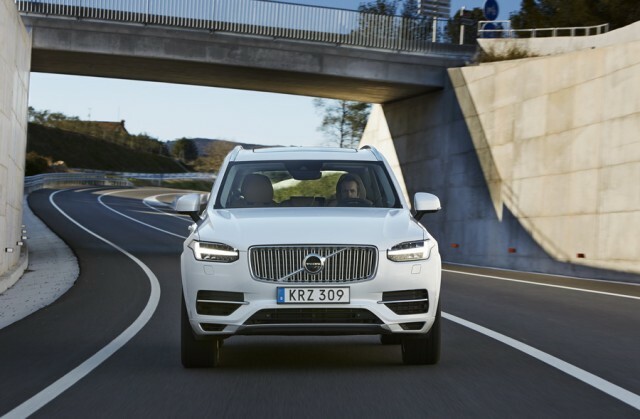 Volvo XC90 T8 vs. BMW X7 M50d (2019): the Volvo isn't quite at the same luxurious level, but the plug-in hybrid T8 model serves up similar performance with a significantly lower price and running costs.